Mrs. Mary Ann McLendon of Hogansville, passed away Monday, April 8, 2019, at Hospice LaGrange. Mrs. McLendon was born January 13, 1935, in Greenville, SC, daughter of the late O.B. and Florence Wood Campbell. A resident of Hogansville most of her life, she lived in Fort Lauderdale, FL for 20 years before returning to Hogansville in 2014. 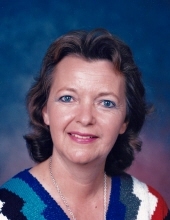 She earned her Bachelor’s degree from LaGrange College and was a retired educator, having served as librarian at Hogansville High School for many years. Mrs. McLendon loved Hogansville High School and for over 25 years, she organized and directed a homecoming weekend which brought several hundred alumni to the campus each year. She was a member of First United Methodist Church of Hogansville, was an avid reader, and enjoyed spending time with her grandchildren and great-grandchildren. Survivors include her daughters and sons in-law, Mary and Peter Nelson of LaGrange, Angela and Johnnie Wenger of Dacula; son, B. O. Askew III of Hogansville; grandchildren, Samantha Wilson, Tricia Turner, Mary Beth Laney, Kayla Reeves, Benjamin Askew IV, Benjamin Wenger, Sydney Wenger; and five great-grandchildren. In addition to her parents, she was preceded in death by her husbands, G. B. McLendon and Benjamin O. Askew, Jr.; her son, David C. Askew; and three infant children. A memorial service will be conducted at 11:30 a.m., Saturday, April 13, at First United Methodist Church of Hogansville. The Reverend John Evans will officiate with private interment in Myrtle Hill Cemetery. The family will receive friends at the church from 10:30 a.m. until 11:30 a.m., Saturday. Flowers are welcomed, or memorial contributions to First United Methodist Church of Hogansville or to Hospice LaGrange would be appreciated. To send flowers or a remembrance gift to the family of Mary Ann McLendon, please visit our Tribute Store. "Email Address" would like to share the life celebration of Mary Ann McLendon. Click on the "link" to go to share a favorite memory or leave a condolence message for the family.